Updated Friday December 14, 2018 by Kanata Baseball Association. Tyler Roth, Cubhouse Manager l Director of Player Development, will be hosting the 2019 "Up To Speed" Coaching Clinic on Thursday, January 3rd from 6-8pm at The Cubhouse. Tyler will be bringing coaches and parents up to speed on the newest and most effective ways to coach & train players for improvement! A couple of topics being presented on are: how to build a more effective practice plan, the most effective ways to communicate with players, and why we measure as much data as possible at The Cubhouse. Tyler will also be demonstrating how to use some of the technology that is used at The Cubhouse on a regular basis. 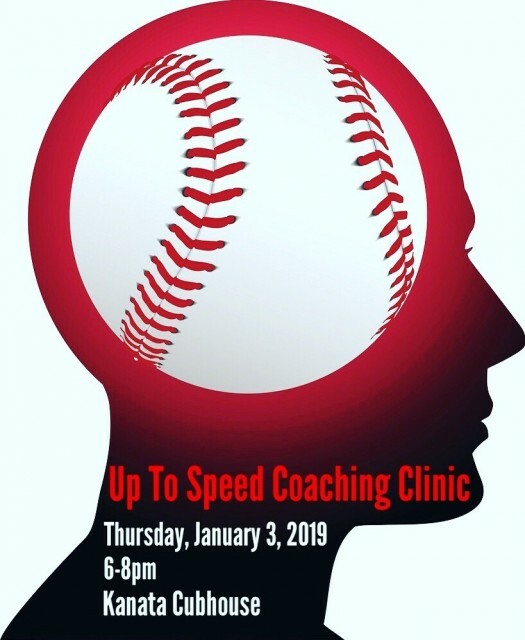 This clinic is for current coaches, prospective coaches, and parents who simply want to learn the best ways to help their child improve at baseball. This event if free! Dress comfy/athletic. Tyler tests out all of the drills he supplies to players, whether it be hitting or pitching, and coaches/parents will be doing the same on this night! Be prepared to see how far you can hit a ball, to have your medicine ball velocity tested, test out some new drills, and much more!